The week of June 5th-9th 2017 (the Grand Opening of Ikea Columbus) we are expecting high volumes of traffic around our Polaris office location. 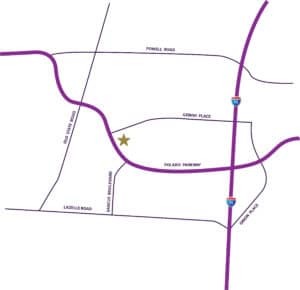 We recommend allowing for extra travel time and for your convenience we have provided alternative directions to our office at 1080 Polaris Parkway. Directions Heading South on I-71, or traveling southbound on 23. Exit at 131. Turn right off the exit onto 36/37 (heading West towards Delaware) to 23 S (towards Worthington). Take 23 S to 750/Polaris Parkway. Turn Left onto Polaris Parkway, office is 2 miles on the left. Directions Heading North on I-71 or from I-270. Take I-270 W to 23 N (towards Delaware). Take I-23 N to 750/Polaris Parkway. Turn Right onto Polaris Parkway, office is 2 miles on the left. Exit at Rt-161 exit. Head West (turn Left) towards Worthington to 23 N. Follow 23N to 750E (Polaris) or could turn right on Wilson Bridge Rd., turn left onto Sancus. Take Sancus to Polaris Parkway, turn Left onto Polaris, right onto Capella – building on the left. Directions for Patients traveling from Mt. Vernon – Avoid 71. Take 3 South to either Polaris Parkway or County Line Rd (turn right). If travelling by County Line Rd., turn Left at Orion, turn Right onto Lazelle Rd., turn right onto Sancus. Take Sancus to Polaris Parkway, turn Left onto Polaris, right onto Capella – building on the left. Visit https://www.mapquest.com/routeplanner to plan your route.